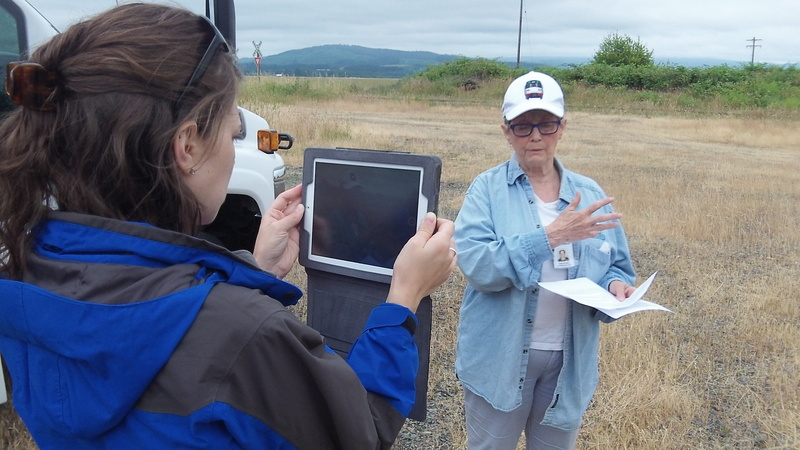 Benton County Commissioner Linda Modrell talks about the Bailey Line on a tour last week. Benton County says most of the suggestions it has received so far about what to do with the old Bailey Branch railroad line can be arranged into five options. To my mind, the only ones that don’t make sense are to break up and sell off segments or to do nothing with the corridor until it might some day serve as a railroad line once again. 5. Selling, Leasing, Granting Easements and Authorizing Work: Evaluate and complete sales or agreements where requested by adjacent landowners and other organizations. That leaves Nos. 2 and 3, which boil down to some of kind recreational use of parts or all of the land. I can see the possibilities. With even a rudimentary trail, the corridor could become a popular excursion route from bike-minded Corvallis to Monroe and from there up into the foothills of the Coast Range. It would make an easy 36-mile roundtrip on a bike, and if there were two or three places for lunch or a snack, in Monroe probably, so much the better. Monroe: 3 to 6:30 p.m. map gallery and 6:30 to 8 p.m. facilitated meeting on July 8 at the Monroe Public Library, 380 North Fifth St. (Highway 99W), in Monroe. 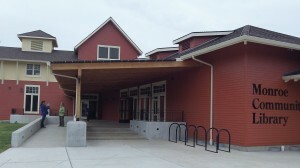 Corvallis: 3 to 6:30 p.m. map gallery and 6:30 to 8 p.m. facilitated meeting on July 10 at the Corvallis-Benton County Public Library, 645 NW Monroe Ave., Corvallis.